The award winning Lava collection was launched in 2013 and is designed specifically with long distance athletes in mind. The top and shorts won the Triathlon 220 Magazine Editor’s choice award with a 92% rating and the range has been a massive success with Ironman athletes racing all over the world. 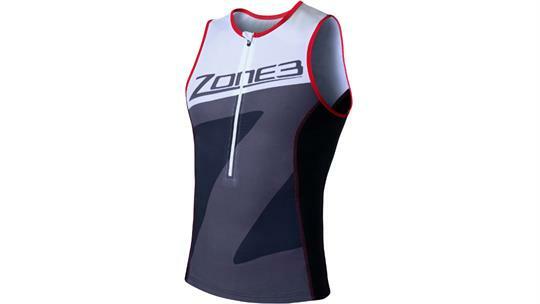 The garment you wear in an Ironman event can significantly affect your performance and therefore this range is designed to be lightweight, super- comfortable, exceptionally breathable, supportive and functional. 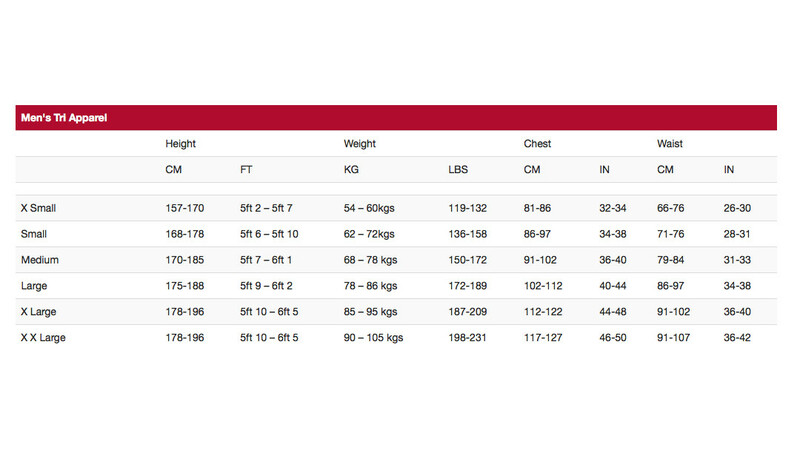 This is a market-leading fabric which is used by a very high proportion of pro athletes. Comfort is crucial during a long distance race and as soon as you feel this fabric against your skin you’ll understand why it is a key feature in the range. This fabric is used on the main front and back panels.Sensory – Our Sensory fabric helps to mimic the Aeroforce Soft-Touch fabric and has an extremely smooth and soft feel together with a full water repellent coating. It also benefits from a reflective coating to help minimise heat absorption from the sun. This fabric is used on the side and back of leg panels. 2. Nutrition storage with nice big pockets on the back to stock up on nutrition and make it easy to access whilst on the bike or run. 3. Comfort fit design throughout the body and neck together with slightly wider shoulder panels for increased protection from the sun. 4. Optical white colour used on the majority of the top to help reflect the sun’s heat. 5. Length – Designed to slightly overlap with the Tri shorts which gives the impression of wearing a suit, but with the versatility of wearing shorts and top. The top is also longer at the back compared to the front to ensure good coverage, especially in the Aero position. 6. Elastic Technology and binding gives a snug fit without any discomfort around the arms and neck lines. Also, new seam construction to prevent any chafing under the arm. 7. Stylish Flat locked stitching: Designed for maximum strength and minimum discomfort against the skin. 8. 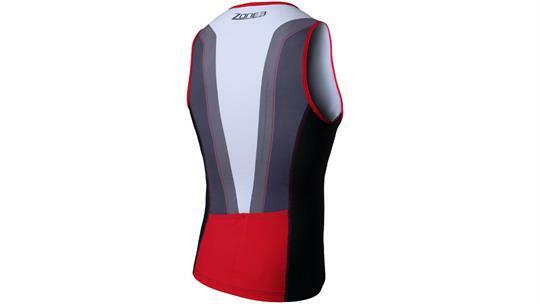 Front semi-auto lock zipper for extra ventilation during the cycle or run. 9. Total Zip protection: Soft fabrics are used to cover the inside of the zipper and this is combined with ‘fold over’ cover to minimise any discomfort from the zip on the chest. Designed to go with the Lava Tri Shorts, this set will get you from the start to finish in the best time possible and with the minimum amount of discomfort. Full suits also available if preferred to separates.